This topic contains 16 replies, has 4 voices, and was last updated by Abwehrschlacht 2 months, 1 week ago. Amazing set up! Looking forward to your experiment with the Mud and Blood cards. Cheers buddy, I am looking forward to it too! I think the non-linear approach from Mud and Blood will work well with skirmish level such as this. IGOUGO is fie when dealing with larger formation type games, but when each figure is supposed to be a single man, it needs to be a bit less conventional! No problem KB, I hope you enjoyed the write up! As I think I posted on the blog, looking forward to seeing what you do with cards. I’ve even seen designers opine that you can only game the first couple months and the last. Meanwhile, nobody doubts for a moment that you can game Pickett’s charge or the cavalry attack at Waterloo. I wonder if the hundred year anniversary and stuff like the Great War youtube channel will lure more people in, though. There are very few that do attempt to change the flow of the river, yourself and the Lardies spring to mind immediately. The 100th anniversary has been even worse if anything, cementing old myths and inventing new ones. Very little revisionist history made it into the public sphere from my POV. Who did the “Contemptible little armies” game? I really liked that one as well. Though it seems to have fallen out of gamers consciousness. My love for the setting comes from one simple source: Reading “All quiet…” when I was a kid. It was etched into my memory and I’ve been fascinated by the conflict ever since. I am not sure, I know the name, but have never played it. I have been surprised of the lack of FWW games at the conventions I have attended over the last four/five years. Very few have featured a timely game. We have played Square bashing at pivotal moments throughout the centenary, though, just to readdress the balance. Yeah, Square Bashing is another good one. And…that about rounds out the representation I think. Good on you to fly the flag. There was Over the Top but that’s been way out of print. I play more WW2, just because people like tanks and it tends to skirmish better, but yeah, WW1 is the true love. In fact, the first thing I ever wrote for money was a WW1 game (Trench Storm). We always get an enjoyable game out of SB, it never disappoints. We haven’t had a game of WW2 for a while, the last was Rommel, last year some time. My mate has been doing the desert campaign in Rapid Fire, but we have drifted away from it in recent years and I was running the Malaya Campaign, but again, it’s been yonks since we gamed either. Must get back on it! Since I’ve had to downsize a bit, I asked the kid what he’d like to game and he said “Tanks!” so I’m toying with doing 6mm for either North Africa or Eastern Front. LOL, he has his head screwed on right! 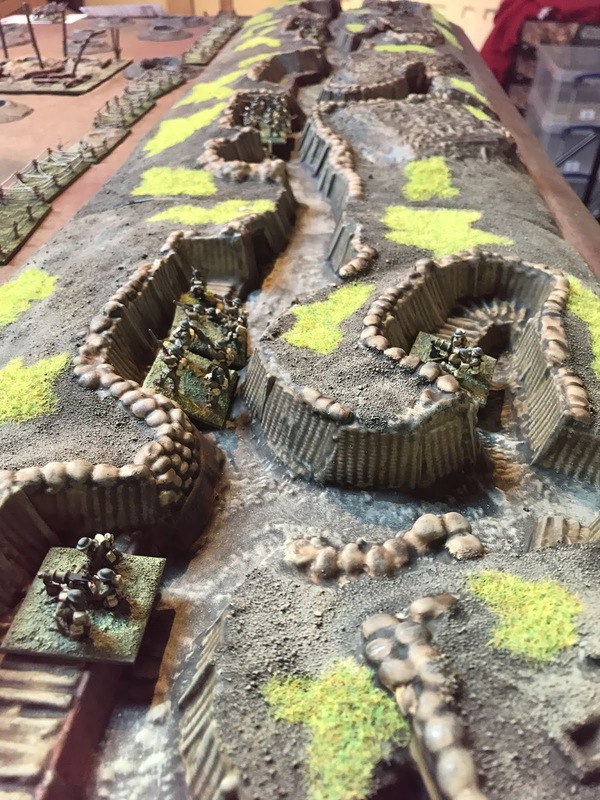 We play Rommel in 3mm, that may be worth a look. I’ve kicked around 3mm. THe Picoarmor stuff looks fantastic, but I’ve wanted to get back into 6mm ever since playing Epic/Space Marine for scifi. Epic was always my favourite of the GW output, that’s probably cos I like the operational level of gaming.